The Allentown Hibernians Hurling club is a amateur sports team dedicated to promoting the sport of Hurling in the Lehigh Valley. 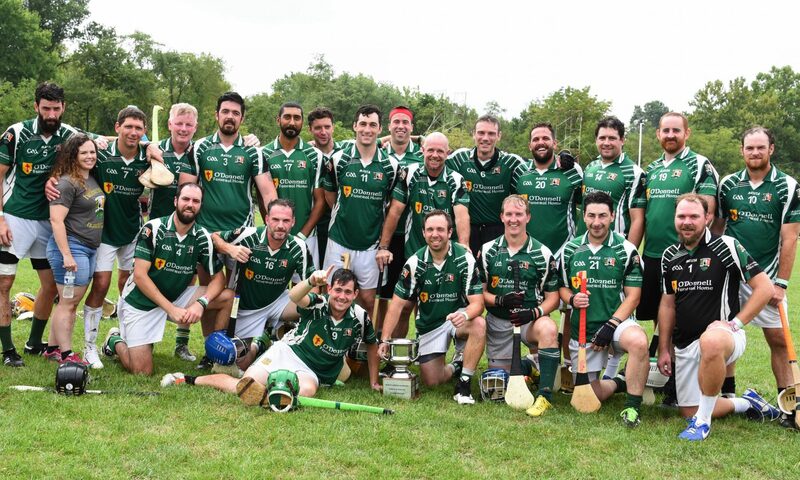 Our team beat teams from all over the country to win the North American Hurling Championship in 2018! In 2019 our team will be traveling to Ireland, birthplace of hurling, to play against teams from around the world in the 2019 GAA World Games, but we need some help, please support our team! What is Hurling? Hurling is termed “The Fastest Game on Grass” and it combines a wide variety of skills, including those of baseball, lacrosse and hockey. It is an outdoor team game of ancient Gaelic and Irish origin dating back for over 3,000 years ago. Learn more. For the latest information about what our club is doing, please check out our Facebook page. Help our club by donating to keep us going! See our Links page for other organizations you might want to know about. 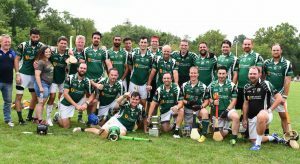 In 2018 at the USGAA Finals in Philadelphia, PA our team won the Championship for the Junior B Hurling for all of North America. We are starting a new thing of profiling some of our players to give an idea of the type of people you can play with if you join us. 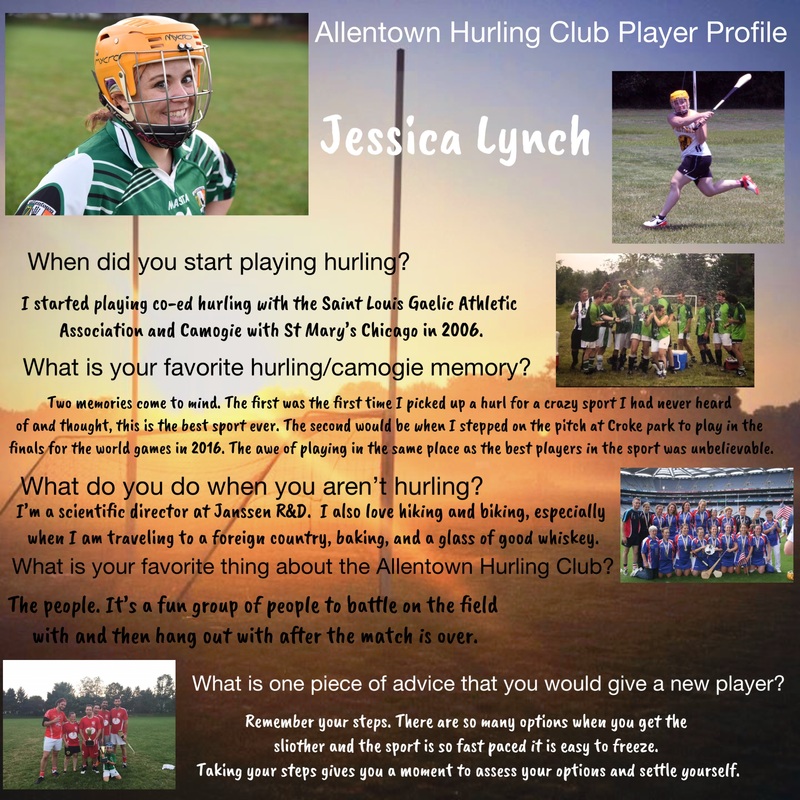 We asked them all the same 4 questions, and you can see they come from many walks of life and may play for different reasons, but they all love Hurling! The Allentown Hibernians Hurling Club is both a sport and social club. We have an active recreational, co-ed league for hurling – perfect for those who want to have fun and try something new. We also have a mens hurling team that is competitive at the regional and national levels. So what’s it all about? Every year the club will divide all our members into 4 teams and they will compete to be the best Hurling team in the Valley. It all starts with draft night in late April, the league jerseys are handed out to team members and the league is ready to begin. Every Thursday evening from May to late August the teams will do battle for the Purtell/Jones Trophy. The Lehigh Valley Hurling league is a great way for new hurlers to get there first game action. Through out April the club will host beginner clinics, so all our new members are up to speed before the league starts in May. If you would like to get involved then register. The Allentown Hibernians Hurling Club was started early in 2008 when Pat O’Donnell met Jeff Purtell, now the chair of the club and athletic director of St. Anns grade school, at an AOH meeting. After his brother had bought some hurls and sliotars to puck around, Jeff realized it may be possible to start a club after hearing about the success of other American-born hurling clubs in the U.S. The sport looked very appealing to him. Pat had no idea what it was. Almost immediately after telling Pat about it, they both started recruiting players. Jeff bought a couple dozen hurls and sliotars and they held their first practice. At that time the team consisted of Jeff, Pat and Pat’s brother Danny. Things weren’t looking too promising. Eventually they were somehow able to recruit more people. 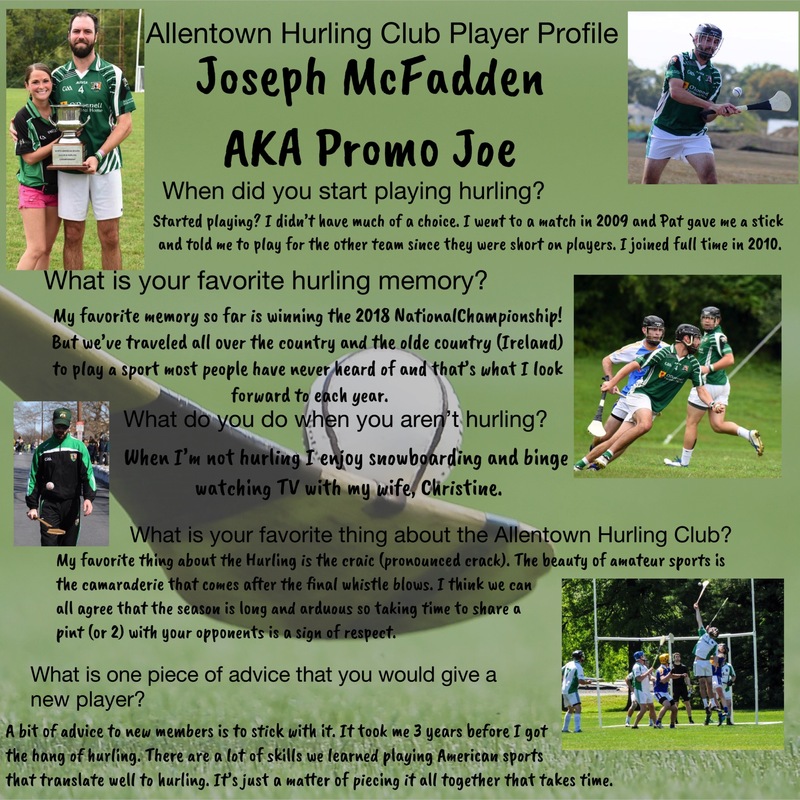 Once there were enough members to field a team, Jeff contacted the Philadelphia GAA and registered the newly formed hurling club into the Junior C Division. They desperately needed sponsors to help with the costs of starting a new team. The four original sponsors, O’Donnell Brothers Landscaping, AOH Lehigh Division 1, Jack Callaghan’s Ale House and O’Donnell Funeral Home, were gracious enough to donate money to the team for equipment and uniforms. They were granted field usage by the Borough of Emmaus for training purposes. Since they didn’t have the proper goal posts, all of their games were played in northeast Philadelphia at Cardinal Dougherty High School. They played mostly inter-division games the first year until the team went to Boston for the 2008 North American Championships. They were extremely unprepared. They unsurprisingly lost in the first round to the Chicago Cusacks. In hindsight, it was a great learning experience. They now knew what they had to do in order to compete the following year. After that weekend, they played two games in Pittsburgh at the Irish festival. And then, by the grace of God, they were given a set of portable goal posts and nets from the Philadelphia GAA. They were finally able to have their first home game in September of 2008. The Philadelphia Shamrocks came up for a challenge match during the weekend of Celtic Fest in Bethlehem, Pennslyvania. That’s when they got our first win as a team. 2009 was the second year as a bonafied hurling club. Training started in April and the Hibernians got word that a former Philadelphia hurler was going to give them a hand by coaching them. Paul McCarthy turned out to be invaluable to the team. Training sessions now had structure and meaning. They recruited more people and started training three days a week. Practices went from a few people pucking around and taking shots on goal in 2008 to fully organized practices with an emphasis on the basics. From there they progressed ten fold. More and more dedication was shown by players on the team. Everyone was getting in shape and learned how to play the game the right way. With a great coach and a determined team, they started the 2009 season with a win against the Philly Shamrocks who treated them like a practice squad the year before. By the time they were ready to go to Boston for Nationals they had a 6-1 record, a complete turnaround from the year before. They placed 2nd in the Junior C Division, losing to the San Fran Rovers in the finals. The Allentown Hibernians are here to stay. Grab a hurley.